Can anyone really understand why Batman, an orphaned billionaire turned terminal detective with an affinity for one of the strangest winged animals in the world, is one of the most popular characters ever created? Does the Bat represent our absurd craving for justice in the most perfectly absurd style? Is it helpful to deconstruct a paradox as well built as Bruce Wayne when that dark well has given us so much already? Not completely convinced it would get us anywhere to know why so many love Batman, but I am curious at this moment in the superhero movie boom to consider who is worthy to embody him. I watch Batman ‘66 with more and more enjoyment in its shameless insanity each time nowadays, but it was Keaton who captured my imagination. Tim Burton said, “It wasn’t Michael’s build that convinced me of his ability to don the cape, but his eyes,” and that truth is why I’ll always pledge allegiance to Keaton’s Bat above all. Everyone’s got their favorite and their argument and everyone is right so don’t you dare question their screensaver choice. Yet DC and Warner Brothers are in a precarious position. Nevermind the fact that Disney just purchased nearly all of 21st Century Fox’s media holdings – bringing decades of geek film culture of every kind under Marvel jurisdiction. Beyond the reality that Avengers: Infinity War was one of the most incredible and culturally impactful superhero films ever made (the snap was and will forever be felt, long after comic-book films have become irrelevant) is the truth that we are living in an era without The Bat. Being born in the late 80s, a year before Burton’s first Batman, means there hasn’t been too long of a stretch without some Bat-presence in the cultural milieu. As good as Tom King’s run on the flagship Batman comic title has been (yet Scott Snyder still reigns supreme), for many Batman fans like myself we’ve all been anxiously waiting to see what the incredible Matt Reeves is going to bring to the cowl. Wonder Woman was undoubtedly great, Aquaman was the most visually stunning super-heriopic film ever made yet had some pretty awful dialogue to chase it down with, and Superman’s mustache was so unforgivable – isn’t it time for our watchful protector to descend? So here are 5 actors who I’d love to see take up the Bat-mantle. The first time I was really struck by Clarke’s bravado was as the exhausted George Wilson in The Great Gatsby. The stark eyes stood out against the posture and glitz of a world hell bent on creating indestructible opulence. A great friend tipped me off to The Chicago Code – one of the most unsung and painfully accurate depictions of my home city ever made, and the whole narrative pivots on his hard-luck conviction as Jarek Wysocki. His role in Dawn of the Planet of the Apes though as a pragmatic and ultimately heroic architect is what cemented this choice. The world could use someone with angry and tender control under the cape again. Having already worked with Reeves, and carrying with him the grim spirit of the Pet Sematary remake, could he be the perfect Bat-heir? An actor whose incredible ability to display conflict that can end in fury or triumph (First Reformed, Training Day), who is no slouch in evoking sardonic intimacy (The Sun Trilogy – Before Sunrise, etc. 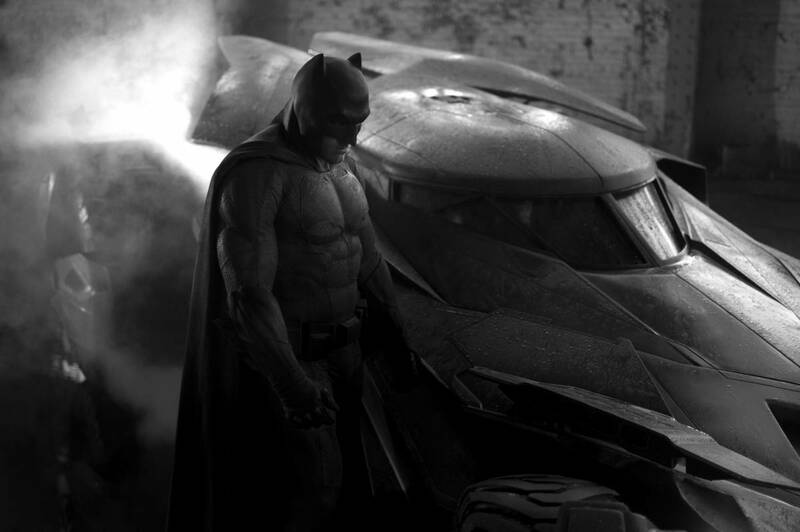 ), could bring us the kind of Batman we’ve never seen before. Maybe a young Master Wayne needs someone who can carry that desperation we saw all those years back in Dead Poets Society for a new generation struggling with what we do, and how we wield privilege in the face of great tragedy. Hawke may have to lose the goatee, which is crazy rare for him as an actor, but we might stand to gain a new perspective on the tumult of ol’ Batsy. Now go with me here – picture The Viper’s swarthiness from Game of Thrones with the swagger of Whiskey in Kingsman: The Golden Circle. Add the cold fact chasing of Javier Peña in Narcos to his approach and you might see what I see in Pedro. Yes, you can purchase my forthcoming acting recipe book this Fall. A definite step forward in the representation of Latinx actors, I’d love to see the Chilean-born American actor try his hand at the cape. Even in the smaller role for If Beale Street Could Talk he shines just enough as Pietro Alvarez to reverberate with the beauty and struggle of Barry Jenkins’ vision for 70s Harlem. The Internet at Large has already tossed his name into the Bat-gauntlet after performances in Baby Driver and the teenage post-apocalyptic Divergent trilogy, and I have to say I genuinely agree. If we need a younger Bruce to grow with – someone with charm and force – Ansel needs to be under consideration. If even Keaton had his cheesy Mr. Mom before becoming Alfred’s problem child, we can allow The Fault in our Stars to be on our new Batman’s resume. His role as Baby in the Edgar Wright masterpiece is what does it for me – see him in it and tell me he doesn’t have the intensity necessary to be Gotham’s knight. The darkest horse in my whole list, I would be lying if I didn’t say his work as Georg in Transit alone solidified my trust in him. His ability to hold both confusion and fear in separate but equal parts, and the sunken but bright eyes are what placed him firmly on this list for me. The film is a must see, and maybe we need to reach wider in our search for the new caped crusader? He was unknown to me altogether until the aforementioned film and maybe that’s what viewers need to see a character as storied as Batman in a brand new light (or darkness). No matter who takes up the challenge to be the next Batman, I am beyond eager to see it. Knowing that Matt Reeves is at the helm is incredibly encouraging. I’m convinced we haven’t even seen the best he has to offer and the Planet of the Apes trilogy was fantastic on many levels. The Bat-fleck experiment wasn’t what any of us hoped – he never had the chance to develop his own take in a solo Batman film, but I’m not among the doubters who thought he was terrible for the role outright. All that said, I think we need and deserve a chance to reimagine a Batman for this generation. The next Bat-choice can’t miss. Reeves’ pick for Bruce Wayne should be able to take us from purple gloves to reluctant mentor of Terry McGinnis – so who do you think should take up the cowl and be our new Batman? A writer from Chicago. A fan of Christian Wiman / Frances McDormand / Innaritú in equal portions within parallel dimensions. A Thin Mint. Will work for 70mm Interstellar film cells. Love nothing more than painstakingly strategising and just failing anyway? You're going to want to check out the best stealth games then.